Back in the summer I was lucky enough to "meet" Jane Rusbridge the author on twitter. She bought some jewellery from me, and I must admit curiosity got the better of me and I had to read her book The Devils Music. I was pretty much hooked from the first page, which was set on the beach, and as the story unfolded I was both intrigued and inspired. I will try not to give away the plot, but I think I am safe to mention, that one of the themes that runs through the book is sailors/nautical knots. There was also a beautifully detailed description of a knotted bracelet, which was more than enough to inspire me to go off and try my hand some of the more simple sailors knots. As I love anything beach, nautical related these knotted bracelets seemed a fantastic addition to my range. You will have to wait until the new year to buy one of the sailors knot bracelets. 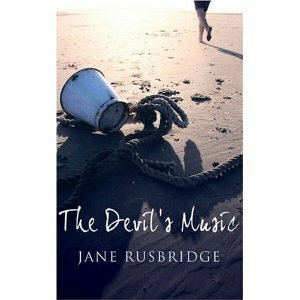 In the mean time you too can be inspired and delighted by Jane's wonderful book The Devils Music, as I have four signed copies to give away when you buy our "Get knotted" long sea glass necklace. So why not treat the beach lover in your life to some sea glass jewellery this Christmas and get your free copy of The Devils Music to make the perfect gift? I was delighted this weekend to be told we had been featured in Making Jewellery Magazine. I had no idea! 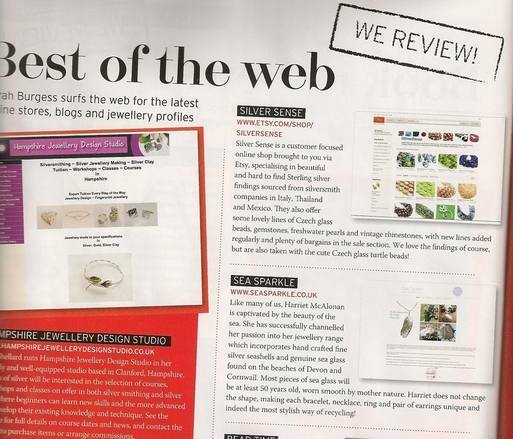 So I quickly dashed to the shops and there on the "Best Of The Web" page was a most lovely write up all about Sea Sparkle and our sea glass jewellery. How cool! We have other news too, as we have reduced the price of our Mens jewellery range in the run up to Christmas. So get your guy a bargian!